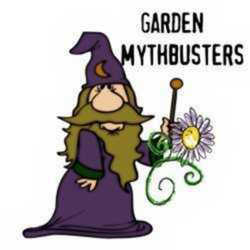 Two horticultural professionals took some of the most popular garden myths into the university laboratory to prove or disprove the accuracy of these myths. Dr. Linda Chalked-Scott from Washington State University and Dr. Jeff Gilliam from the University of Minnesota tested these myths under controlled conditions to determine if they really work. For years we’ve been told that if we water plants on a hot sunny day the sun reflecting through the water droplets will burn the foliage. We are constantly being warned in books, magazines, and various websites that if we water on a sunny day we will burn the leaves. The premise behind this is the water drops that accumulate on the leaf surfaces act as tiny magnifying glasses, focusing the sun’s energy into intense beams that burn leaves. We’re told that since water conducts heat, wet leaf surfaces are more likely to burn than dry ones. This is one of those myths that refuse to die. Although most of the university web sites dispel this myth, hundreds of other web sites keep the misinformation alive. If your plants are showing signs of water stress in the middle of the day, by all means you should water them! Delaying irrigation until the evening (not a good time to water anyway, as this can encourage fungal diseases or the following morning could damage your plants and open them up to diseases. There are many causes of leaf scorch, but irrigation with fresh water is certainly not one of them. If using recycled or gray water, consider running the water through a filtering system before applying it to plants. Using nursery tags is an accurate method to determine a plant’s final size. Fall is the ideal time to plant trees and shrubs. Selection can be a tricky practice, especially when site conditions limit size of plantings. Small landscapes require small-scale plantings. At the nursery, one can be overwhelmed by the variety of deciduous trees and conifers, and even within a species there may be several cultivars from which to choose. Without any prior knowledge of these plants, gardeners resort to nursery tags to determine mature heights and widths. Armed with this information, one can select those trees and shrubs whose size is appropriate to the site. But does this approach really work? Many factors determine the mature size of any tree or shrub. The most obvious on plant size is genetic makeup – you only have to look at cultivar names like ‘Midget’ or ‘Giant Candles’ to understand this component. Geographic location also plays a role in determining height. For instance, trees tend to grow taller in areas where temperatures are more moderate; trees in coastal areas are generally larger than these same species in more interior regions. Within a geographic area, local climate will further influence final size: rainfall and temperature can vary widely within a region. The microclimate of a site will influence tree size due to differences in environmental factors such as drainage, and soil type. Competition for water, light, and nutrients, will affect not only growth rate but final height as well. 4. If no local landscape specimens exist for a particular plant, look to the internet for plant performance information from similar climates elsewhere in the world. Concern over the use of herbicides has caused landscape professionals and gardeners to look closely at non-chemical methods of weed control. Mulches are increasing in popularity as weed control measures and have a number of additional benefits, including water retention and soil protection. Mulches may be organic, inorganic, or synthetic. Synthetic mulches, including geotextiles, are of interest to many consumers and professionals because they are perceived as nonbiodegradable, permanent solutions to weed control. Developed for agricultural use, geotextiles have found their way into ornamental gardens as landscape fabrics. These fabrics, a vast improvement over the impermeable black plastics still (unfortunately) used for weed control, are woven in such a way that water and gas exchange can occur but light penetration is significantly reduced. Hence, they are effective in reducing weed seed germination in areas where soil disturbance would otherwise induce germination of weeds. Such fabrics have been so effective in reducing weeds in vegetable and ornamental crop production that they have been applied to more permanent landscape installations. Like the dieter searching for a permanent weight loss pill, so we as gardeners continue to seek permanent weed control solutions. Unfortunately, there is no such permanent fix. 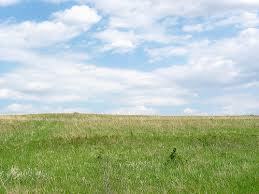 We must remain ever vigilant in our battle with weeds and cannot rely on a product to do this. The fact is that weed control fabrics are not permanent and will decompose, especially when exposed to sunlight. For permanent landscapes, they are not a long term solution and in fact can hinder landscape plant health. Some of these facts are listed below. Any organic matter or soil on top of the fabrics will hasten their colonization by weeds; this precludes covering the fabric with anything but inoert mulch like pebbles. It also requires continual maintenance to keep the fabric free of debris. Weeds will eventually grow on top of and through these fabrics, making their removal difficult. Geotextiles degrade in the landscape in as little as one year if unprotected from sunlight. The aesthetic quality of landscape fabrics is minimal; it becomes worse as the materials begin to degrade. Personally I had a situation where field bindweed grew some 25 feet under landscape fabric before emerging at the edge of the bed, seeking sunlight. In closing, I expect some of you might disagree with some of these findings. However remember that this research was done in reputable university labs under controlled conditions. Each of us will draw our own conclusions. To Purchase Your Native Wildflowers & Prairie Plants Visit Our Website at Ion Exchange, Inc.
Whoever thought that people would be attracted to Northeast Iowa just to go kayaking. Every year a group of people, sometimes up to 20 of them flock to Northeast Iowa’s Yellow River. 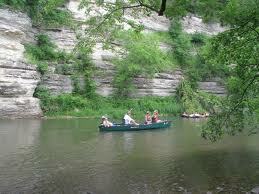 Iowa, known for cornfields is seldom thought of as a great place to kayak. Low and behold in a remote region of Iowa that is full of limestone bluffs, valleys, trees and scenery beyond belief with eagles and vultures flying overhead, there is a clear stream with rainbow and brown trout and smallmouth bass. The Yellow River has the steepest vertical elevation fall of any river in Iowa. Your launch may be at a bridge called 16, a name that was given to a small community that existed there in the late 1800’s. Spend four hours on the Yellow River, stopping to fish or have a shore lunch with friends on a hot July day and you would swear that you were in Colorado or somewhere out west having the time of your life. There are beautiful vertical walls lush with liverworts and often the more observing kayakers will stop by the walls and pet the Lichens or Liverworts as they are known because they have a feel that is so special and unforgettable. Takeout may be at Ion, a ghost town now with nothing left. A huge flood destroyed the whole town of 149 people back in 1916. There was a hotel, a hardware store, a sawmill and a gristmill. An old timer, Bill Aard, saw his best friend cut in half at the sawmill. Bill never traveled more than 20 miles out of the valley during his whole life. He died at 103 years of age. There now exists just downstream from Ion a well known native seed and plant nursery and The Natural Gait. Many people stay at The Natural Gait in one of their exquisite log cabins for their venture down the Yellow River. Whether you go to kayak or scenery or just to relax, the Yellow River is a place to remember.